The sinking of the Junyo Maru on 18 September 1944 was one of the deadliest maritime disasters of the Second World War, killing over 5,000 POWs and romushas. Here she is pictured in 1933, courtesy of City of Vancouver archives. CVA 447-2345. Between 12 and 18 September 1944, Allied forces sank three Japanese steamships that were carrying supplies to support the Japanese war effort. But unknown to the Allies at the time, these ships were also carrying Allied prisoners of war (POWs) and Javanese slave labourers (romushas). The Allies sank other POW transport ships during September 1944, but the sinking of the Kachidoki Maru and the Rakuyo Maru on 12 September led to the first eyewitness accounts being given by former POWs to Allied administrations about conditions in camps on the Thailand-Burma railway, whilst the sinking of the Junyo Maru on 18 September was one of the deadliest maritime disasters of the Second World War. The two sinkings, only six days apart, resulted in the deaths of over 7,000 men. The Kachidoki Maru was the largest of these steamships at over 500 feet long and more than 10,000 tons. She was torpedoed, along with the Rakuyo Maru, on 12 September 1944 by US submarines whilst en route to mainland Japan from Singapore. The Junyo Maru, the smallest steamship at 400 feet long and 5,000 tons, was torpedoed by a British submarine on 18 September off the western coast of Sumatra. When these steamships were sunk, the prisoners and slave labourers on board were all either returning from, or journeying to, the railways upon which they had been designated to work. More than 1,300 POWs were packed on board the Rakuyo Maru and a further 900 onto the Kachidoki Maru at the docks at Keppel Habour, Singapore, on 6 September 1944. These men had laboured on the Thailand-Burma railway - a 250-mile construction project upon which the POWs had been forced to work since June 1942. Approximately 100,000 romushas and 12,000 POWs lost their lives as a result of the brutal conditions under which they were forced to work. Although the main construction work on the railway had been completed by October 1943, the men were still suffering from the effects of severe malnutrition and tropical diseases such as malaria, dysentery and beri-beri. In this condition, those who were to be transported from Singapore to jobs elsewhere were crammed into the holds of the ships with the hatches closed - 'a layer of men lying shoulder to shoulder' recalled Australian private Philip Beilby - with a shelf above them to contain another layer of men. Rudimentary toilet facilities - boxes over the side of the deck - were at their disposal (IWM SR 23824). The Rakuyo Maru and Kachidoki Maru set sail on 6 September as part of convoy HI-72 bound for Japan. As well as POWs, the ships were carrying important supplies for the Japanese war effort, including oil, rubber and bauxite, making the convoy a target for Allied attacks. Japanese troops and POWs alike had their concerns about whether they would make the journey safely. Other transport ships had already been lost including the Lisbon Maru on 1 October 1942, the Suez Maru on 29 November 1943, the Harugiku Maru on 26 June 1944 and the Koshu Maru on 4 August 1944. In total, 23 ships transporting POWs are thought to have been sunk by Allied forces during the conflict in the Far East, with the loss of nearly 11,000 POWs and thousands of romushas. Upon boarding the Rakuyo Maru, and to help quell the concerns of their comrades, some Australian POWs drew upon their experiences of the sinking of the HMAS Perth during the Battle of the Sunda Strait at the end of February 1942. As they were packed into the hold, they gave advice to fellow POWs on what to do in the event of a sinking. Lying 'gazing out to sea talking to each other' (IWM SR 23824), the men were also concerned with practical matters - the sort of work that they might be required to undertake in Japan (the rumour was that it would be coal mining, of which nobody had any experience), and the little that they possessed in the way of personal belongings. They did not have much in the way of clothing either, and during the last two years' captivity had become accustomed to a climate different from the one they expected to encounter in Japan. They wondered how well they would adjust, given the stresses that they had already endured. Any amount of time that the POWs were allowed out of the hold onto the deck was precious; this brought each man a chance to breathe some fresh air, instead of the stifling stench of the dysentery-ridden hold, and to move his stiff, cramped limbs. At 5.00am on 12 September, six days into the voyage, torpedoes from USS Sealion hit the Rakuyo Maru. Rivers of fire were blazing in the sea from the convoy's oil tankers that had been hit earlier in the night, but the men knew that they needed to abandon ship. There were very few lifejackets and the Japanese had commandeered the lifeboats. POWs threw anything in the water that would float - pieces of wood, rubber - remembering to collect water bottles before they jumped. The crude oil made the men vomit as they ingested it and it burned - as the salt water did - when it made contact with fissures and ulcers on their skin. But the oil also created a thick greasy coating that those who spent several days at sea believed gave them some additional protection from the harsh sun during the day and the bitter wind at night. Surviving men would watch from the water, trying to avoid the pull from the ship as the Rakuyo Maru sank the following afternoon. At 10.40pm on 12 September, USS Pampanito torpedoed the Kachidoki Maru. She sank much quicker than the Rakuyo Maru - within minutes, rather than hours. The 900 men on board had to jump into the sea in the dark of night. The stronger swimmers tried to help those that they could hear struggling around them. 'But', remembered Thomas Pounder, a gunner with the Royal Artillery, despite his confidence in the water, 'when I hit the water, I went right down…it seemed as though somebody wrapped a rug right round me, I couldn't move' (IWM SR 4887). Having struggled to reach the surface and being pushed away from a lifeboat by Japanese guards, Pounder eventually managed to climb onto a bamboo raft where he would spend the rest of the night. As day broke, he looked for the man who had been his best friend through their time on the Thailand-Burma railway, and who had been next to him on the ship. But they had been separated and Pounder's mate was among the 400 men who lost their lives in the sinking of the Kachidoki Maruthat night. Japanese ships returned the following morning to pick up the surviving men. Along with over 500 other POWs, Pounder was transferred to the Kibitsu Maru, upon which the rescued men would continue their journey to mainland Japan. Here they remained in captivity until the end of the war. For the survivors of the Rakuyo Maru torpedoing, it would be three, four and - for a small number of men including Philip Beilby - six days before they were rescued from the sea by the same Allied submarines that had sunk the convoy. Those days at sea were spent 'absolutely famished for water, the mouth dries up and your tongue sticks to the roof of your mouth', all the while staring out at 'pure and crystalline-looking' salt water (IWM SR 23824). For the first couple of days the men tried to maintain their morale by singing songs to pass the time, but the sun's glare off the water became 'unbearable', the oil in the eyes burned, the salt water ulcers caused 'itchy patches' and the skin peeled away. Hallucinations caused some men to swim out to ships that were not there - and drown as a result. Others died of thirst, became aggressive, or simply went 'crazy'. The men had jumped from the Rakuyo Maru feeling free because their captors and the bayonets were no longer around them, 'but you're not free really because the bottom of the sea is calling you' (IWM SR 23824). USS Pampanito and USS Sealion had continued to patrol the area in the South China Sea following the attack on the convoy. After three days the submarine crews spotted wreckage and debris with men floating on rafts: 'We couldn't recognize them' reported Lieutenant Commander Davis, Executive Officer on the Pampanito, 'They were all hollering and screaming at the top of their voices…They were very hard to handle, they were just covered with a heavy oil, all over their bodies, their hands, and we had a devil of a time trying to get them on board, they were slick, couldn't pick them up. They were quite weak and they couldn't help themselves very much…I remember the first one that came up - he actually kissed the man as he pulled him up on deck, he was so happy to get on there. They were quite in a state of hysteria, they had practically given up when they finally got picked up by us'. Lieutenant Commander Landon Davis's full account of rescue is available on the San Francisco Maritime National Park Association's website, as is remarkable edited film footage of the rescue of 157 POWs from the Rakuyo Maru sinking, filmed using the USS Pampanito's periscope cameras. The original film footage is preserved within US National Archives. 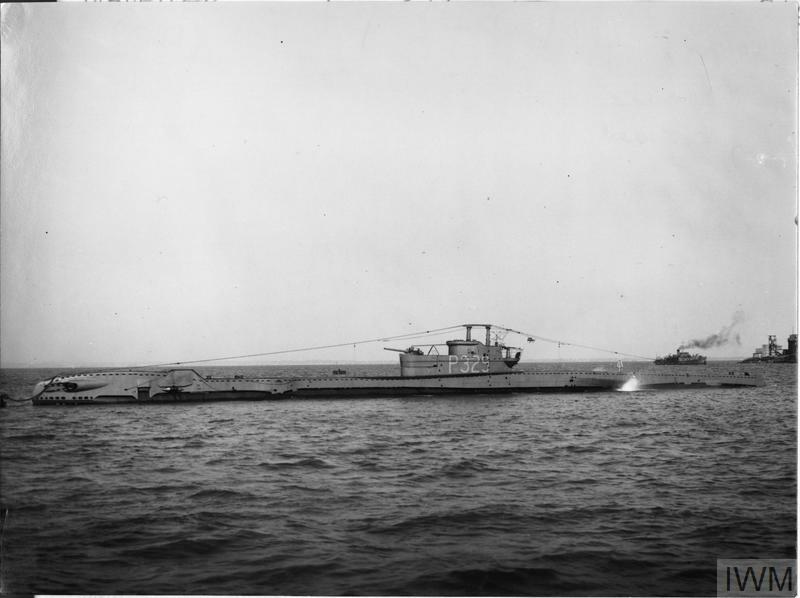 A typhoon would hamper the search, but for three days the submarines - with assistance from USS Barb and Queenfish -continued to pull the men from the sea. A small number would die in the days following their rescue, but the former POWs from the Rakuyo Maru were eventually repatriated to Australia and Britain. Whilst on board the submarines, the former POWs heard news of the war's progress, and provided their own intelligence to military personnel on conditions in the Far East. The rescued men were full of praise for the submarine crews and the care that they provided for the survivors before they arrived at a medical base in Saipan. HMSM Tradewind, the submarine that sank the Junyo Maru off the coast of Sumatra, unaware that the ship carried Allied POWs and native romushas on board. At 4.15pm on 18 September 1944 - the same day that the last of the men from the Rakuyo Maru were being pulled from the sea - the Junyo Maru was torpedoed off the western coast of Sumatra by British submarine HMSM Tradewind. Conditions on board were as cramped and degrading for POWs as they were on other transport ships, but on the Junyo Maru there were 4,200 romushas who had also been beaten down into the holds by guards cramming as many people as possible into the space available. The romushas were native slave labourers predominantly from Java who, for the entire period of their captivity, suffered especially inhumane conditions. Few romushas are reported to have attempted to leave the stricken ship; only 200 are thought to have survived the sinking as they huddled together on board, rather than jumping for a chance in the water. Former POWs spotted in the South China Sea by USS Pampanitofollowing the sinking of the convoy including the Rakuyo Maru and the Kachidoki Maru in September 1944. The men were rescued by the same US submarines responsible for the sinking. The sinking of the Junyo Maru was one of the deadliest maritime disasters of the Second World War and one of the worst in history at the time. It took less than one hour for it to sink into the Indian Ocean, with the loss of over 5,500 lives. The 880 survivors - like those on the Kachidoki Maru - were picked up by Japanese ships and put into forced labour on another railway constructed under the command of the Japanese Imperial Army: the Pakanbaroe railway across the island of Sumatra. Survivors of the sinking of the convoy containing the Rakuyo Maru and Kachidoki Maru, being rescued from the South China Sea by the crew of the USS Pampanito, 15 September 1944. Like on the Thailand-Burma railway, POWs and romushas were forced to build the Pakanbaroe railway through thick jungle and swampland, over rivers and through mountain ranges. They used basic hand tools and subsisted on a meagre diet of rice, jungle vegetables and scraps of meat - if and when it was available to them. The survivors of the Junyo Maru shipwreck were transported to base camp at Pakanbaroe (there were 17 camps along the line in total). From there they were moved in groups along the line, where they joined nearly 5,000 other Allied POWs working gruelling shifts to construct the track and bridges, as well as the camps that they needed to inhabit as their work progressed. They would continue to labour until the railway was completed 11 months later, on the day of Japanese surrender, 15 August 1945. During the construction of the Pakanbaroe railway, 673 Allied POWs and 80,000 romushas lost their lives. Former Allied POWs being rescued from the South China by USS Pampanito following the sinking of the Rakuyo Maru and the Kachidoki Maru. The men were eventually repatriated to Australia and Britain and their stories provided the first personal accounts of conditions along the Thailand-Burma railway. Whilst the surviving men from the Kachidoki Maru laboured in Japan, and those from the Junyo Maru built the Pakanbaroe railway, those rescued and repatriated from the Rakuyo Maru were giving Australian and British officials direct information on their experiences of captivity in the Far East. These were the first accounts given to Allied administrations, and to the general public, describing the conditions endured by the POWs who were forced to work on what came to be known as the 'Death Railway'. On 17 November 1944, as details of the Thailand-Burma railway were making their way into the British press, the Secretary of State for War Sir James Grigg made a statement in the House of Commons, based upon the accounts given by survivors from the Rakuyo Maru. Grigg directly addressed the situation of POWs being held in the Far East. Commendation was specifically given to medical personnel on the Thailand-Burma railway for looking after sick and injured men with very little medicine or equipment. The Department of the Red Cross and St. John War Organisation produced The Prisoner of War, a journal for the relatives of men held captive by enemy troops during the Second World War. From February 1944 this journal was supplemented by a special eight-page edition called Far East, which enabled information to be distributed more efficiently to the relevant families. In March 1945, one of the survivors of the Rakuyo Maru wrote a double-page spread for Far East that attempted to appease the concerns of families: 'I know by the way I felt during my two and half years that our greatest wish was for you not to worry'. He wrote to give families 'an idea of what our daily lives were like', and he wrote of the work, the punishments and the lack of food. He explained that there was no chance for anybody to escape, and that once you were caught trying, 'you didn't get another chance' (IWM E.10426). In writing to families about the daily lives of the POW, the men returning from the Rakuyo Maru - unaware that their fellow comrades across the Far East were still experiencing forced labour along railways and in coal mines - wrote some of the first lines of what has become an enduring narrative of POWs in the Far East. Japan's early successes in the Far East during the Second World War resulted in over 190,000 British and Commonwealth troops being taken prisoner. Conditions varied, but in the worst camps - such as those along the Thailand-Burma ‘Death Railway’ - prisoners suffered terribly. More than 170,000 British prisoners of war (POWs) were taken by German and Italian forces during the Second World War. Most were captured in a string of defeats in France, North Africa and the Balkans between 1940 and 1942 and held in a network of POW camps stretching from Nazi-occupied Poland to Italy. More prisoners were taken during the Second World War than in any other conflict. Millions of soldiers, sailors and airmen – and also civilians – were held in captivity. Their fate depended on when and where they were captured, and sometimes their nationality or race.